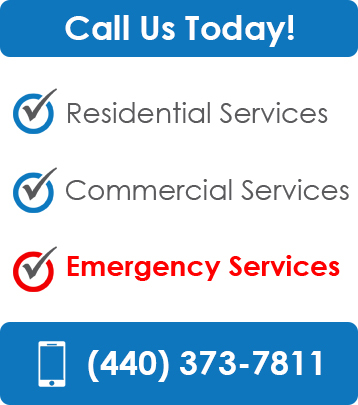 Pescara Plumbing Chesterland Ohio | Pescara Plumbing, Inc.
Pescara Plumbing is a family-owned and operated plumbing company serving the greater Cleveland area. Eric VeVerka, owner, started turning wrenches as a young boy with his father. After the growing pains of inexperience as a youth in the trade, he was determined to make the life-long commitment to pursue his career in the plumbing field. Eric’s ambition to be known to others as a professional plumbing contractor who is respected in the community as being honest and meticulous about his work soon became his passion. Eric continued to grow in the field and later obtained his Master’s Plumbing License in 1992. Eric is married to his wife, Melissa, and they have a blended family including eight children ranging in ages from 33 to 5. He is very much an integral part in his children’s lives and he still finds time to be involved in their various sporting commitments. Living in Cleveland, sports has always been a large part of Eric’s life. He has been tailgating at Cleveland Brown’s games since the early 80’s and is optimistic year after year that they may actually win a Super Bowl in his lifetime. Eric and his wife are adamant about focusing on health and fitness and they both work out regularly. We find it important to provide a healthy environment for our children. Eric has a love for the outdoors and has been an avid backpacker for many years. His most recent adventure was a backpacking trip he took with his sons in Big Sur, California.